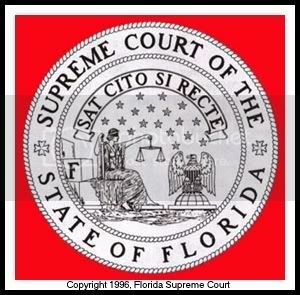 In a curious move, two of Floridaâ€™s legal aid organizations joined mortgage industry lawyers in filing with the Florida Supreme Court an emergency petition to require mediation in all residential foreclosure cases. The two legal aid offices involved are Legal Services of Greater Miami and Florida Legal Services of Tallahassee. Conspicuously absent from the emergency petition is Jacksonville Area Legal Aid, a nationally recognized leader in the fight against foreclosures. JALAâ€™s refusal to get on board immediately raises red flags and invites a close examination of this effort to force mediation in foreclosure cases. Holland & Knight, LLP, has over 1100 attorneys, according to Martindale Hubbell. More interestingly, H&K represents Lender Processing Services, Inc., the countryâ€™s largest default servicer. LPS is behind more foreclosures than any other entity. Interestingly, Mr. Petreyâ€™s name appears nowhere on the emergency petition. So, the man who heads the organization that will be responsible for these mediations also works for the law firm that represents the largest filer of foreclosures in the country. This fact alone calls into question the credibility of this group and diminishes the sincerity of this effort. Furthermore, it raises questions surrounding legal aid’s cooperative effort with Roderick Petrey. In an effort to get to the bottom of this story, I will be making some telephone calls to Mr. Petrey and those attorneys who signed off on this petition. Stay tuned . . .
Chip Parker is the managing partner of Parker & DuFresne, P.A., where he represents Northeast Florida businesses and consumers facing bankruptcy, and homeowners facing foreclosure. His firm files more homeowners in the Mortgage Modification Mediation Program than any other law firm in Northeast Florida. Parker is the recipient of Jacksonville Area Legal Aid's prestigious Award for Outstanding Pro Bono Service. Mr. Parker is an active member of the National Association of Consumer Bankruptcy Attorneys and National Association of Consumer Advocates.